Hello, lovelies! If I have a denim collection, I think I also have a kimono collection. Yes, and it is growing. 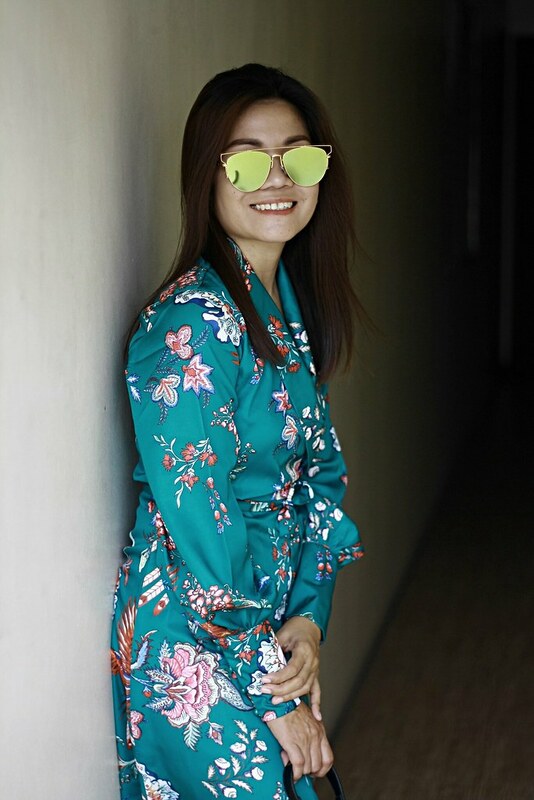 Who wouldn't love kimono? With all that floral prints from tiny to large ones; I will never get tired of wearing one every day. How about you? So, for today's style post, I am featuring ROSEGAL. Just click the photo below or the link below to see more photos and outfit details. 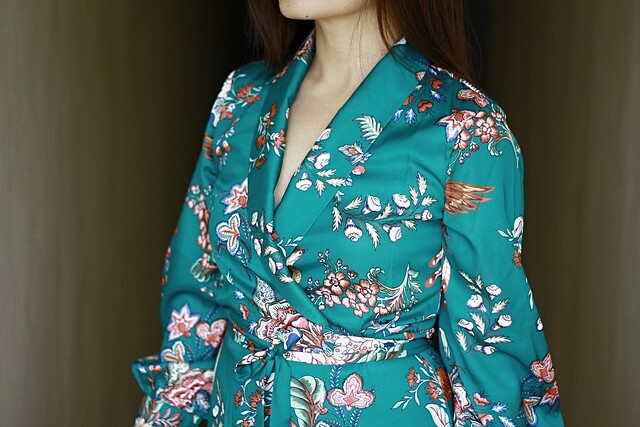 This women's kimono phoenix printed pattern long dress is to die for. I really love the print! Not to mention it's in my favorite color green, I couldn't ask for more. This dress really caught my heart. It has a belt to tie around and wrap skirt creates a slit whenever you walk. Ahhh! The material is very nice; it's kind of satin but very light. I got it in Small size and it fits perfectly (though I am usually Medium). It looks classy, too. I highly recommend this dress. 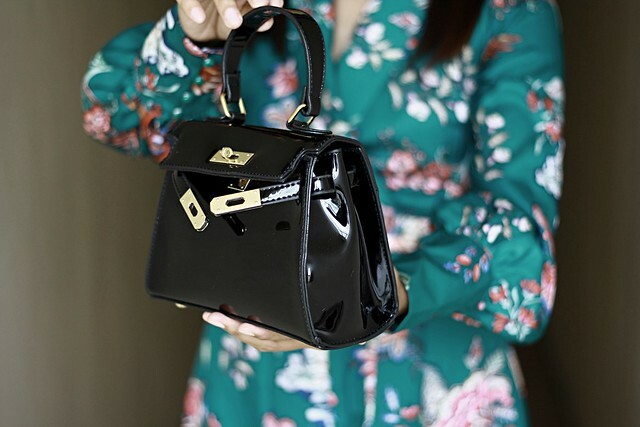 I paired it with a black patent leather handbag which can be used as a crossbody bag, too, because it comes with a long strap. The size is ideal for going out. The material is soft and not stiff at all. I love that it was sewn smoothly. It comes in brown color, too. This bag is versatile.